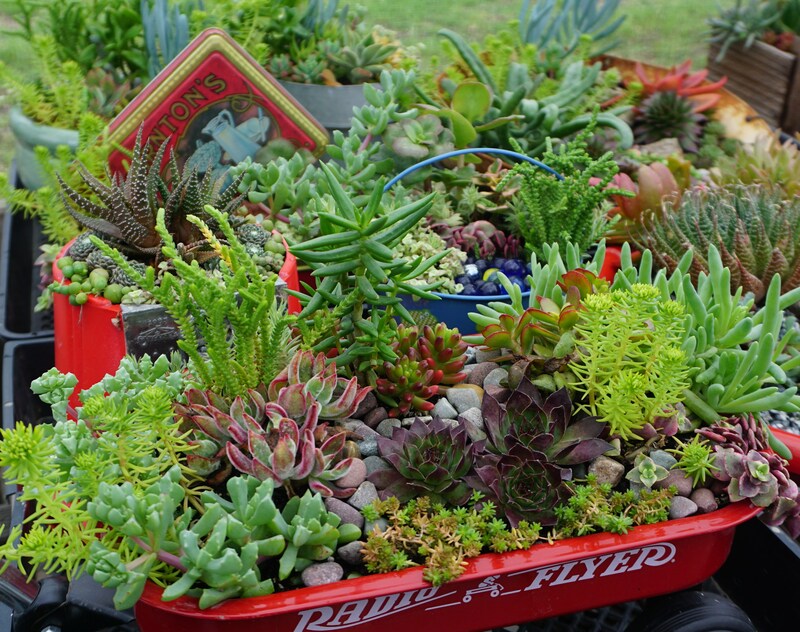 We will be offering a beautiful array of succulents this year. They will be available in sampler packs, as individual varieties, and already made up into charming arrangements in a variety of clever containers. They thrive both in containers and in the ground. Stop by and talk to our experts to learn more about these marvelous low-water plants. Please understand that we have a limited supply and some varieties may sell out quickly. Known for its medicinal properties. Clumping. Sun or part shade. Low water. 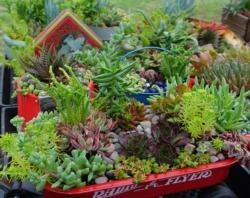 24–30"
A sampler of succulents that will do well in sun. Water only when soil is dry. If in doubt, don't water. Sun/part sun. Low water.